Witness the sea and sky of cobalt blue, tropical mountains towering over, and a night sky full of stars. Listen to the sound of sanshin and singing that drives nostalgia with a light rhythm. 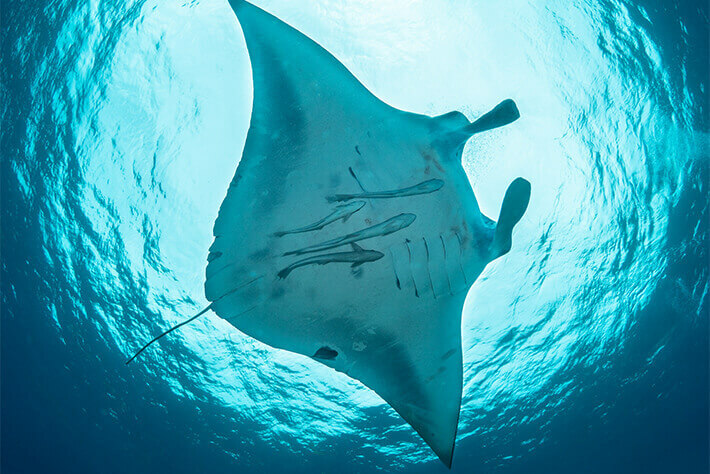 Experience where much of the island is covered in rich nature. That is Ishigaki Island. From the Tamatorizaki Observatory on the east side of the island, you can look over the vast blue ocean, and the transparency of Kabira Bay looks so beautiful that it will have all those visiting for the first time speechless. After dusk, the nature of Ishigaki Island shows a different face than what you see during the day under the tropical sun, with star clusters towards the end of the dark sea. 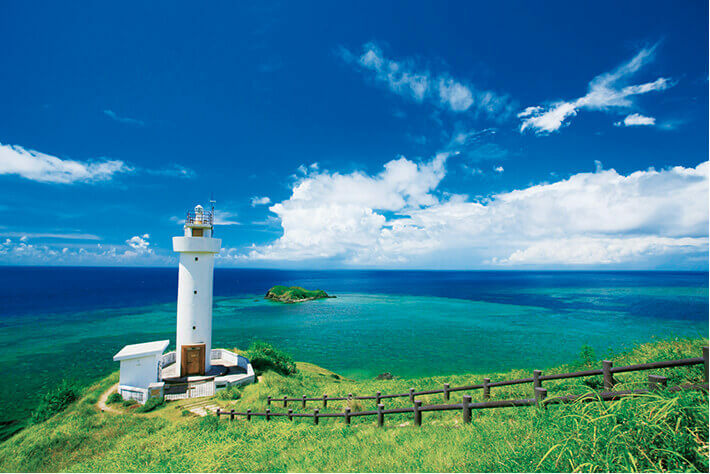 On this island, the gateway to the Yaeyama Islands, you will find lots of fun ways aside from marine leisure to enjoy the tropical setting. You can see 84 constellations out of all 88 constellations from Ishigaki Island. When darkness covers the sea of ​​Yaeyama, a sea of ​​stars spreads before you through the night sky. The Yaeyama islanders (shimanchu) have long been particularly fascinated by the Pleiades among all the star clusters in the sky, referring to it as “murikabushi,” meaning star cluster, and have created many stories revolving around it, which continue to be passed down to the present. 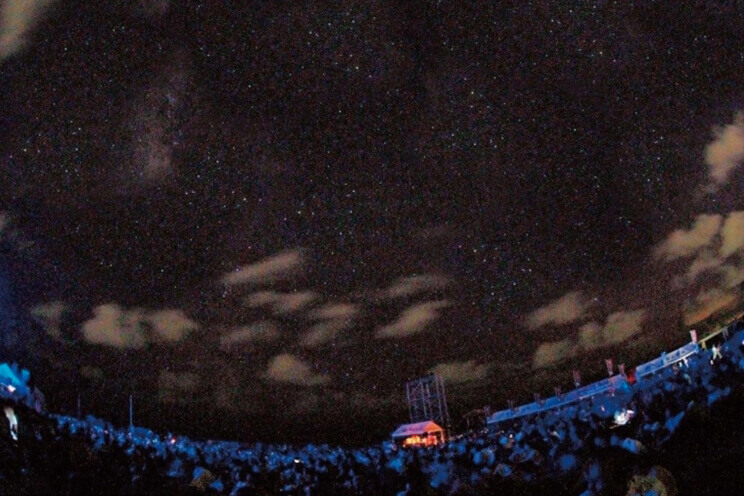 The starlit sky of the Yaeyama Islands, including Ishigaki Island, which is said to have a profile of starry sky that clears world standards, is the candidate site to be recognized as the first Starry Sky Conservation District of Japan. Ishigaki Island has long been known as “the country of poets, the island of songs, and the land of dance” and has an entertainment culture unique to Okinawa. Tubarama, which couples thoughtful lyrics with an emotional melody, is among the best that Yaeyama folk songs have to offer and continues to be sung by many as a love duet. 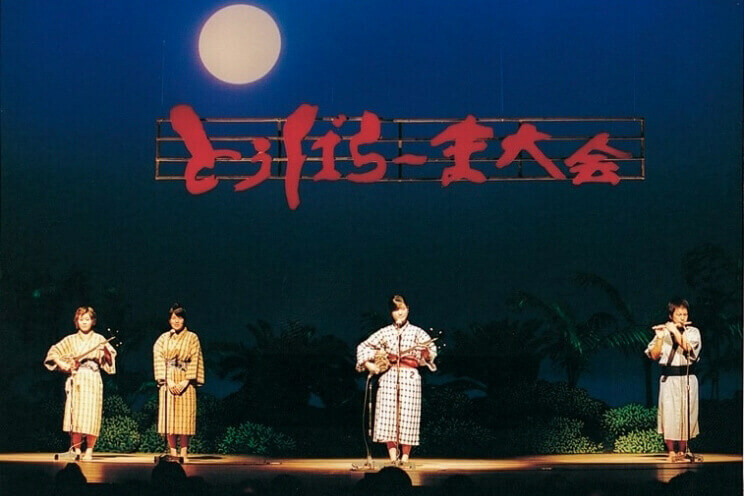 Ishigaki Island even has the Tubarama Contest held on August 13 of the lunar calendar every year, which could substantiate the claim that Ishigaki Island is the island of performing arts both in name and reality. 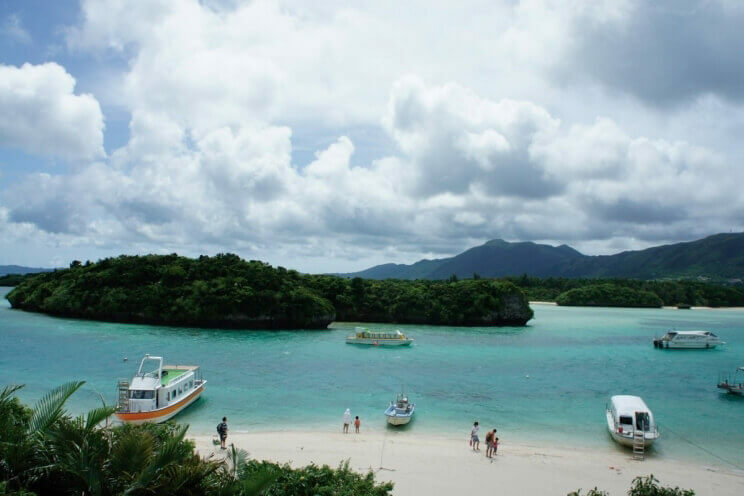 Kabira Bay is a scenic spot representative of Ishigaki Island. 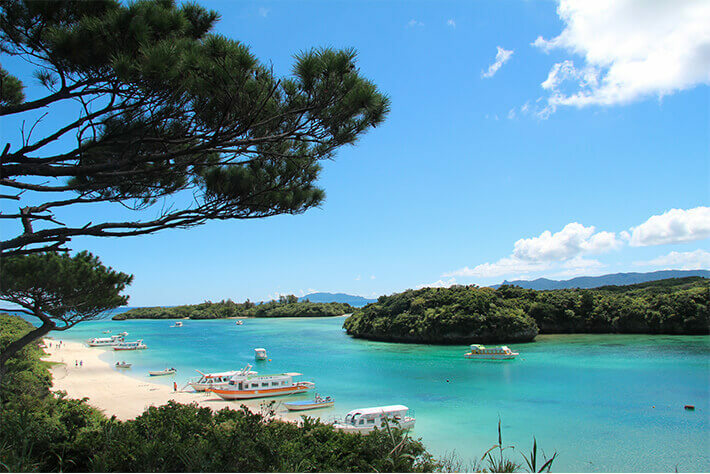 One of the scenic spots that represent Okinawa is inside the bay where the pure white sand beach, the green color of nine small islands, the clear blue sky, and the gradience of blue all come together spectacularly. While swimming is prohibited, you can enjoy watching the colorful tropical fish swimming from a glass boat. 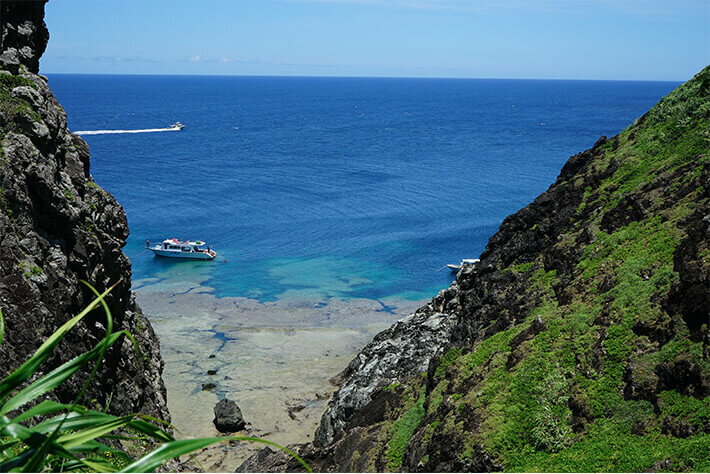 When visiting Ishigaki Island, this is certainly one place you don’t want to miss.